Neil Patel released a video on "4 Steps to Increase Your Email Open Rates". Here is a text transcript of what Neil said. Emails are one of the best sources for visitors and sales for your online business, but there’s an issue. You send emails and no one’s reading them, opening them, or even getting them. They could be going to people’s spam box. Today, I’m going to teach you how to increase your email deliverability. The first thing you need to know is, when you start sending people emails, you need to warm them up. If you have an email list of let’s say 100,000, and I’m going to the extreme, you wouldn’t want to just fire off and shoot off 100,000 emails right away. 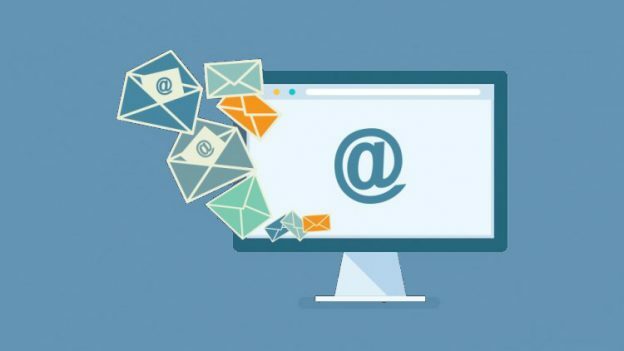 Every email provider out there, Gmail, Hotmail, AOL, what they do is, if you send a ton of emails and people don’t open them up, your emails will automatically start going to people’s spam box. As you warm them up and you only start sending a few like 1,000, and then the next day, you start sending 3,000 or 4,000, and then from there, you send 10,000 then 15,000 then 20,000 then 40,000 then 60,000 and then maybe 100,000, what you’ll find is, you’ll be warming up these ISPs like the AOL’s and the Gmails. They’ll be more comfortable with your emails and they’ll be putting them in the inbox. The second thing you need to know is your email subject lines need to be casual. When you send people emails that are friends, use a casual subject line. You’re not always capitalizing every single word. You’re not that proper. That’s how it should be, because when you send someone an email with a casual subject line, they’re like, “Oh, this could be a friend, let me just open it. The third thing you have to do is scrub your email list. If you keep sending people emails that aren’t opening it, eventually, these ISPs will be like, “Hmm, you’re sending all these emails to AOL but most the people you’re sending emails to aren’t opening it, so we’re assuming that all your emails are spam and we’re just going to put all your emails in the spam box. If you take your emails and only send them to people who are opening, in other words, scrub your list. Once a month, for all the people who don’t open any of your emails, assuming you’re sending out at least four or five emails. If you’re not sending out more than four or five emails, then you shouldn’t scrub your list once a month. You should scrub it after you send out four or five emails each and every single time. If you send out more than that within a month, then just do it on a monthly basis. Last but not least, send more text-based emails. When you send promotional emails, they tend to have lot of images and the providers know this. That’s how you end up in the Gmail Promotions tab. When you send text-based emails, Google or Gmail is like, “Oh, cool, this could be a friendly personal email, so let me put this within the inbox. Sure, your text-based email will have some HTML, but it won’t have as much compared to those fancy, templated emails which are terrible for deliverability. Follow those four things and your emails will start going in within people’s inboxes. They’ll be opening them up. You’ll be getting more clicks and more sales. Best of luck on getting your emails delivered.